display HD QuadHD survey HD vs QuadHD - do we really see the difference? 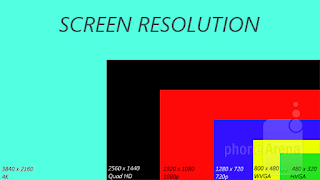 HD vs QuadHD - do we really see the difference? It's something that both Martin and I have talked about extensively. But over their 1080 counterparts, how much is really being gained? A quick check through some of the #TRYLGG4 gang and it's a mixed bag for them. Now +PhoneArena has done a survey to come up with some scientific results. Well, maybe not super scientific, but they surveyed 33 people to look at several photos. For each photo there was a duplicate. One was at 1080p, the other at 1440p and then they viewed them on the S6. So what does this really mean? Well, it's saying that QuadHD displaying QuadHD is better. So for photos, you'll get more out of your QuadHD display than a 1080p. but for anything else... well that's still up to scrutiny. Personally, I notice the layout and the sharper edges on text and prefer it over 1080p (which starts to feel a little 'bulky'). They went a bit further and had folks compare the S6 to the S5. In that case only half noticed a difference (perceived more detail in the S6). 4 said they couldn't see a difference; whereas 9 folks got it backwards. Weird.